Over the last 6 weeks I have been working hard on growing my Personal Learning Network. I have learned a lot about creating your own PLN and it's not as tricky as it seems. All you need is to find something that you're interested in and run with it. Luckily for me, my interests are teaching so it directly benefits my career. I used a website called Symbaloo to organize my PLN so far. Here's what I've come up with in the past 6 weeks. You can view my live Symbaloo page by clicking here. I thought Symbaloo was the best way to organize my PLN because it is always changing and Symbaloo is a great site to bookmark and move things around. Through these sites I am just clicks away from communicating with educators from all over the world. It is through these social media and web platforms that I am able to ask for advice, explore new teaching styles, make long lasting connections and grow as an educator. Overall, I think the best part of this PLN journey was realizing that I had been growing my PLN all along (way before I even knew what a PLN was). Knowing this makes me hopeful that continuing to grow my PLN will be just as easy. I hope to take my PLN experiences into the classroom to share with my students. Your symbaloo looks fantastic! (I'm always impressed with how well you are able to represent ideas visually on your blog, too.) I like the idea of having all components of your PLN in one place and easy to access. You noted that you have been growing your network all along before you realized there was a term to describe it. There is something about having a name for it that makes it feel just a bit more legitimate, eh? Your students and colleagues will certainly benefit from all you contribute to and learn from your network. Just saw Symbaloo in your blog! Thanks for sharing! What a great way to organize all of your PLN’s and resources. I was having trouble figuring out how to display my PLN. 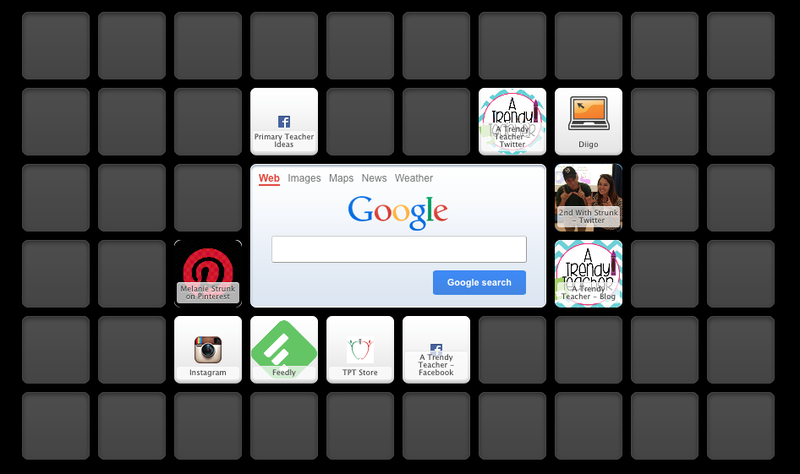 I like your use of Symbaloo to visually display your PLN. It seems you had a jumpstart on of many of the tools presented in this class, but I am glad you found new ways to use the tools to continue to build your PLN. I ran across this Symbaloo of PLN Tools that contains some tools we didn't address in this course. You may find it useful as you continue to build your PLN. Thanks for sharing that link! I can't wait to start looking through all of those resources.